See the beautiful Red River from a different view! Boat Tours at your service. Come See the Red River from Our View! 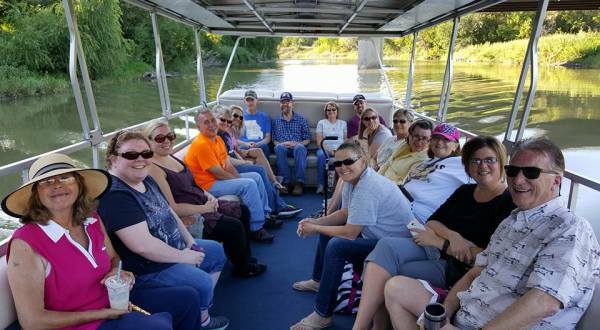 Take a pontoon boat tour on the SS Ruby! Groups of 2 people to 18 people can ride the SS Ruby. A SS Ruby ride is great for special occasions. Call Bert at 218-329-2547 to book your experience today! The boat tour route starts at Convent Landing in Iwen Park and can go as far north as River Oaks Point and can go as far south as Wild Rice. Passengers board the SS Ruby at 1209 52nd Ave S Fargo ND. Please contact for available dates and times. No deposit required. In the event of inclement weather, boat tours can be rescheduled. Groups of 2 people to 18 people can ride the SS Ruby. 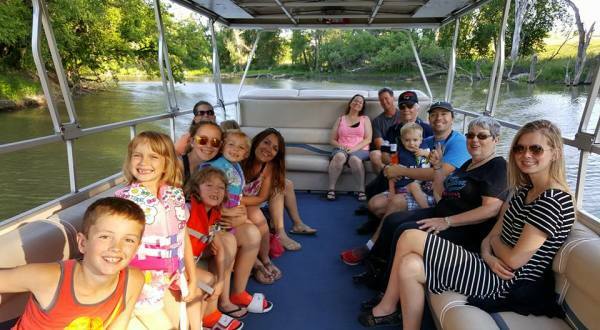 A pontoon ride is great for special occasions such as company outings, family reunions, birthday parties and more! Food and drinks are allowed on-board.